SSC has announced the CHSL examination for recruiting candidates to fill the postal-sorting assistants, Data Entry Operator and Court clerical vacancies. There are 898 vacancies available for Lower Division Clerk/Junior sorting assistant vacancies. The number of Data Entry Operator and postal assistant vacancies are respectively, 2359 and 2. The candidate, in the order of their preference, can choose three examination centres under his/her selected region. There are totally 9 regions, and under them, there are totally 127 examination centres all over India. The candidate cannot choose examination centres from two different regions. It is to be noted that once a preference is stated in the application, it is final and no change in the examination centres can be made before the examination. 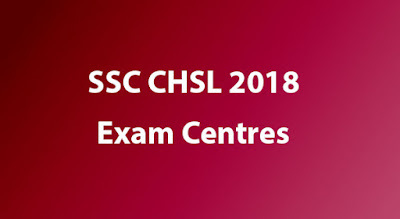 Given below is the list of all examination centres and their respective codes, to choose while applying to the CHSL Examination. Just find out your region along with centre codes and get your CHSL exam centres.